In the last decade, the prevalence of children with autism spectrum disorder (ASD) without intellectual disability (ID) in schools has increased. However, there is a paucity of information on special education placement, service use, and relationships between service use and demographic variables for children with ASD without ID. 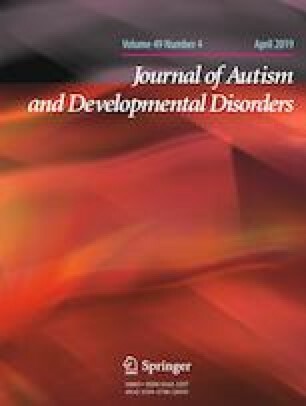 This study aimed to describe and explore variation in type and amount of special education services provided to (N = 89) children with ASD. Results indicated that the largest percentage of children received services under the Autism classification (56.2%) and were in partial-inclusion settings (40.4%). The main services received were speech (70.8%) and occupational (56.2%) therapies, while few children received behavior plans (15.7%) or social skills instruction (16.9%). Correlates with service use are described. CAM participated in the design of the study and led its coordination, interpreted the data, and drafted the manuscript; JPD participated in the design, performed the statistical analysis, and assisted in drafting the manuscript; ALF participated in the design and coordination of the study and contributed to the manuscript; CL conceived of the design of the study, participated in the interpretation of the data and helped to draft the manuscript; JDR participated in the study’s design and coordination and helped to draft the manuscript. MLT participated in the study’s design and coordination and helped to draft the manuscript. All authors read and approved the final manuscript. This research was supported by the Department of Education, Institute of Education Sciences Grant R324A130216. Findings and conclusions are those of the authors and do not necessarily reflect the views of the funding agency. The sponsor had no role in the design, collection, analysis or interpretation of the data, writing of the report, and decision to submit for publication. United States Department of Education. (2010). 32nd annual report to congress on the implementation of the individuals with disabilities education act. Retrieved June 24, 2018 from https://www2.ed.gov/about/reports/annual/osep/2010/parts-b-c/32nd-idea-arc.pdf. United States Department of Education. (2017). 39th annual report to congress on the implementation of the individuals with disabilities education act. Retrieved June 24, 2018 from https://www2.ed.gov/about/reports/annual/osep/2017/parts-b-c/39th-arc-for-idea.pdf.